It’s not every week that an aspiring writer gets to hang out with an author, but, by some kind of magic, for me it is. And I’m loving it! Since January, I’ve been working with thriller writer Chris Allen and his wife Sarah to promote Chris’s latest novel, HUNTER, the second of his INTREPID series. I met the spunky pair back in 2011 when I was volunteering at the local newspaper and I interviewed Chris about his first book, then Defender of the Faith, now renamed to DEFENDER, and they’ve certainly kept my attention. From day one Chris and Sar have felt like family. They don’t let their visitors stay without a tea, coffee or alcoholic beverage in their hands and a comfy seat, and you’ll usually leave their place with sore cheek bones from laughing. They’re the type of people you can always have a good yarn with and you can’t wait ‘til the next time you do. I love my days at the Allens’ (and it’s definitely good for work morale to see their scrumptious boys, ‘Captain’ Morgan and baby Rhett). When it comes to the books, I sped right through them (despite being a normally sporadic and distracted reader – insert ‘Gen Y’ comment here). Chris’s genuine personality, character and real-life experience really shine through in his writing and I love the spirit in his books, it’s brilliant and alluring (bias notwithstanding), but I’ll let you find that out for yourself. 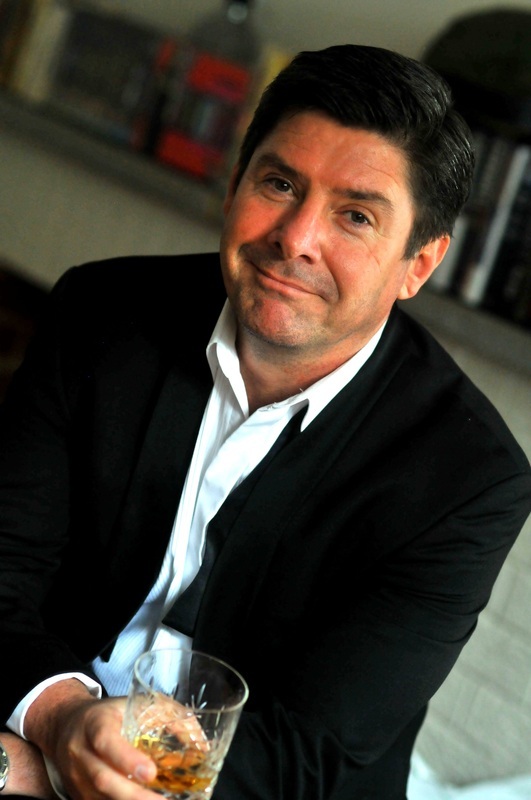 The Ten Questions No One’s Ever Asked Thriller Writer Chris Allen. 1. What did your English teacher say about you during school? Do you have any funny report cards we should know about? What was your favourite subject? Funnily enough, English was my favourite subject along with History, although most of my report cards reflect a propensity to talk rather than write. So, more disruptive than compliant! That said, in later years at school I’d take every opportunity to fly my kite when we were allowed to be creative. My English teacher would routinely state that I had an overactive imagination – but his tone was less than encouraging! 2. What is your pet peeve reading other writers? I really don’t like to read work that is fake or sounds forced. 3. Do you have any quaint or funny writing habits – on the page or in the writing process? Ok, apart from devouring endless quantities of coffee and tea (and the occasional red wine or Scotch in the evening), I have been known to talk to myself while writing some scenes, even to the point of chastising my characters for saying or doing something stupid! Try and figure that one out. I don’t believe in ever prioritizing haircuts. Never have. Which was a problem for me in the Army obviously. I was often ordered to go off and get two haircuts! 5. Other than Fleming and Conan Doyle, what else do you read that’s a bit unusual? Do you have a favourite female writer? I love reading the work of other Australian writers like Matthew Reilly, Tony Park, Greg Barron and Luke Preston. They’re all great and each has a very distinctive style and they’re all great guys. In terms of favourite female writers, I really enjoy the Makedde Vanderwall series by Tara Moss and years ago I read An Indecent Obsession by Colleen McCullough – loved it. 6. What’s your least favourite thing about working with an editor? I get a bit frustrated if they don’t ‘get’ what I’m trying to say or if they don’t understand a character I’m creating. Been pretty lucky so far, though, I must say. 7. What happens when the parachute doesn’t work? Two things can happen: 1. You spend a few terrifying seconds summoning every scrap of training you’ve ever received in dealing with just such an emergency, apply it and, hopefully, you’ll force the parachute to do what it’s supposed to do; or, 2. You accept that there’s nothing left to do but to enjoy your few remaining seconds of what has clearly been an adventurous, if somewhat risky, way of life. 8. Do you wish you were still in the Army? No, not really. In fact, in some ways I think I was never really suited to the Army long term. I’m extremely proud of my service – after all, I did almost 15 years – and don’t regret a day of it, but I did my time and now I have other things to occupy me. There’s a lot to be said for life as a civvy ie. civilian! 9. What foreign/exotic locations would you most like to write a book in? Anywhere that has a swim-up bar. 10. What will you wear to the red carpet premiere of the first Intrepid movie? A former Paratrooper, Government Security and Counter-Terrorism expert, and – most recently – the Sheriff of New South Wales, Chris Allen’s series of thriller novels feature Interpol’s super-secret sub-directorate Intrepid and star agent Alex Morgan. Chris’s experience of the publishing revolution has been up close and personal, having self-published before being signed to Pan Macmillan’s digital-only imprint, Momentum Books. Defender and Hunter have become instant eBook sensations with traditional print deals and a film franchise underway. Details for the upcoming Meet The Author event at Hornsby Library on 11 April (all welcome), can be found here. For more information visit www.intrepidallen.com, or say g’day to Chris at https://www.facebook.com/IntrepidAllen. I keep asking myself, is this the contemporary Fleming? Previous postWhat is Olive on Blonde? P.S. Keep writing – love your health focus and your chat with Clair Marie in particular. Loved the sneak peeks into your bookcase Chris! It’s gives such an insight into the writer, doesn’t it? I think we should have a peek of more writer’s bookshelves and see what we find. Such great works of writing here!